Many people with a physical disability, such as spinal cord injury (SCI) or dysfunction, have no escape from a life filled with medications. Although clearly providing benefits, these drugs often have side effects and have no proof of safety or effectiveness if taken in combination. How many problems are aggravated by overmedication? What is going to happen if life-saving antibiotics are no longer effective because of their continued misuse? To reduce the medication burden associated with spinal cord injury or dysfunction, we need alternatives that augment body defenses. Homeopathy - a holistic therapy - is one such alternative medicine. 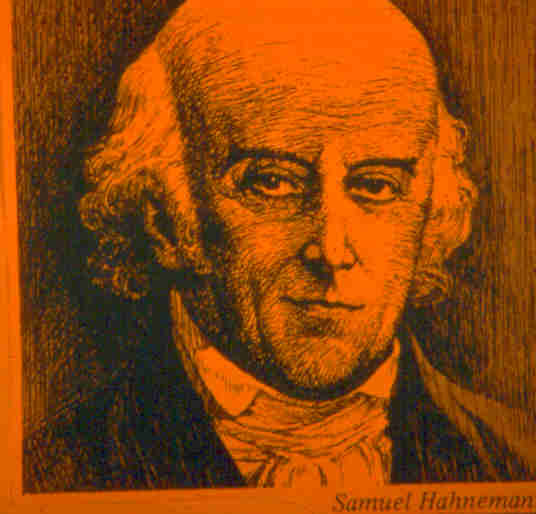 Mo re than 2,000 years ago, Hippocrates, the father of western medicine, said: “Through the like, disease is produced, and through the application of the like, disease is cured.” Using this philosophy, Dr. Samuel Hahnemann developed homeopathy as a medical discipline in the late 18th and early 19th centuries. He discovered that substances that cause symptoms of illness in a healthy person could be used in exceedingly low doses to cure similar symptoms when they result from illness. For years, homeopathy was very popular. Compared to the relatively backward methodology (e.g., blood letting, toxic drugs, etc.) of 19th century conventional medicine, homeopathy was gentle and effective. After Queen Victoria became an advocate, it became a health-care stable of the English royal family. During various epidemics, the death rate in homeopathic hospitals was much lower than that in conventional hospitals. By the turn of the century, America had 22 homeopathic medical schools and more than 100 homeopathic hospitals. In spite of its popularity, homeopathy clashed with conventional medicine’s objectives and beliefs. Founded in part to fight homeopathy, the American Medical Association (AMA) waged a medical “holy war” against the discipline. For example, AMA members could not be or consult with homeopaths. Because the nonpatentable homeopathic medicines could not generate profits, AMA found an ally with the drug companies. Through political mechanisms, homeopathic schools were stigmatized and regulated out of existence, a process accelerated by conventional medicine’s breakthroughs in treating disease. By 1950, no schools and few practitioners remained in America. Although abating somewhat, dogmatic opposition to homeopathy continues to this day, as demonstrated recently by a state medical board revoking the license of a homeopathy-practicing physician. In recent years, however, homeopathy has seen a renaissance driven by consumers and their desire for alternative health-care options. Currently, homeopathic products are available in most pharmacies. Because of their long history of safe use and small doses, the Food and Drug Administration (FDA) allows selling them without prescription (i.e., over-the-counter drugs). Although most consumers buy these products on their own, there are now several thousand homeopath practitioners in the country, representing a variety of professional disciplines. Conventional medicine focuses on suppressing symptoms or diseases in isolation from the whole person. Because symptoms represent the body’s effort to heal itself, symptom-suppressing drugs (e.g., reducing fever) are counter productive. In contrast, homeopathy attempts to enhance the body’s natural defenses and vital force. Although homeopathy also focuses on symptoms, it does so from a highly individualized, big-picture, mind-body-and-spirit perspective. With homeopathy, an individual receives an exceedingly low dose of substance that produces the same symptoms when the substance is given at toxic levels. For example, toxic doses of arsenic cause diarrhea, weakness, restlessness and anxiety. When people have the same symptoms due to illness, they can be cured by extremely dilute homeopathic solutions of arsenic. Similarly, ultra-dilute homeopathic preparations of coffee are used to treat insomnia and restlessness. For homeopathy to work best, the patient’s symptom profile must closely match the toxic symptoms produced by the substance when given at a high dose. These toxic symptoms have been documented for thousands of substances. If the symptom match is close, the treatment can be amazingly effective. The disease name is relatively unimportant. Because ultra-diluted homeopathic remedies have few adverse effects, they can be safely used in combination with other medications. Homeopathic solutions are prepared by a “potentization” process, in which a mother tincture is serially diluted and shaken. In each cycle, one part of the solution is diluted with nine parts of water and vigorously shaken. The cycle is repeated many times. When a solution has been diluted like this thirty times, it is called 30X. The common homeopathic preparation belladonna 30X represents a one to 1,000,000,000,000,000,000,000,000,000,000 (30 zeros) dilution! Although extraordinarily dilute, homeopathic medicines are highly active or potent due to the vigorous shaking between each dilution. Paradoxically, if the symptoms are closely matched, the most dilute solutions are the most powerful. Many homeopathic products sold in pharmacies tend to target a specific disorder (e.g., flu, hay fever, insomnia, etc.) - not symptoms. As such, lower potencies (not serially diluted as much) are used, often in combination. This cover-all-bases approach may or may not work. Although based on years of hands-on clinical observations, homeopathy could not be explained by the usual biochemical mechanisms inherent in most physiological processes. Basically, the preparations are so dilute that statistically no molecules or atoms remain. Hence, no matter how effective the preparations appeared to be, critics concluded if nothing was there, they could not work. They dismissed any positive results as due to a psychological placebo effect, ignoring that it worked in unconscious individuals, children, animals, and isolated organs and cells. Furthermore, over the last 20 years a number of homeopathy preparations have proven to be effective in clinical trials rigorously designed to eliminate placebo effects. Electromagnetic Mechanism: Scientists, who have started to apply quantum physics, chaos, and complexity theory to understanding living systems now believe that homeopathy’s effects are mediated indirectly by an electromagnetic mechanism. Using sophisticated nuclear magnetic resonance, researchers have shown that homeopathic agents modify the electromagnetic structure of water. This modification is perpetuated through the potentization process and is not diminished but strengthened with increased cycles of dilution and shaking. Even when a homeopathic solution has been filtered to eliminate any remaining molecules, it still possesses activity. Therefore, although the substance, itself, may have been diluted out, its imprint has not. The snowflake also demonstrates the ability of water to have a “memory.” Although each snowflake is unique, it can be melted and then frozen back into its original form. Consistent with an electromagnetic mechanism, homeopathic effects are destroyed if heated or subjected to magnetic fields. No direct contact with the homeopathic preparation is needed. Specifically, a homeopathic preparation enclosed within a glass vial has been shown to mediate biological effects. Chaos and Complexity Theory: Researchers explain the translation of homeopathy’s subtle electromagnetic energy into physiological effects using chaos and complexity theory. Basically, under these theories, the flap of a butterfly’s wing in the Sahara can lead to a hurricane hitting the Gulf Coast (it also explained how the dinosaurs got loose in the movie Jurassic Park). These theories challenge the scientific reductionism perspective that whole (e.g., the body) can be understood by breaking down and studying each piece (e.g., organs, hormonal systems, etc.). For example, if a billiard ball is fired against other balls, it is impossible to predict trajectories after a few ricochets, even under ideal circumstances. Nevertheless, scientists attempt to predict outcomes in much more complex systems such as the human body. With disease, the body’s healthy equilibrium has broken down. Due to the complexity of physiological systems, achieving this healthy equilibrium again in any single patient using conventional approaches is difficult. In contrast, homeopathy’s strength is based on this complexity. Because a homeopathic remedy is chosen based on an in-depth matching of individual symptoms, it most likely interacts with the same specific, complex, systems involved in producing the disease. Through subtle electromagnetic effects, homeopathy cures because it affects the complexity of the “forest as a whole and not just single tree in isolation” as do conventional drugs. It is the uniquely appropriate “butterfly wing’s flap” that is needed to shift the body back to health. Because homeopathy has the potential to effectively treat most ailments, it provides a real opportunity for individuals with spinal cord injury and dysfunction to reduce their heavy medication burden. By enhancing the body’s natural defenses, homeopathy should be tried first before using conventional medication. However, if you are already using conventional drugs, you can also try homeopathic remedies because they have few, if any, side effects. Regardless of the outcome, you have little to lose and perhaps much to gain. Homeopathic medicines work best when they closely match the individual’s unique symptoms. To some degree, you can do their own matching by consulting consumer guides available in bookstores. Even when remedies are based on disease instead of symptoms, the results can be considerable. For example, a popular homeopathic preparation called oscilococcinum has been proven to be effective in treating flu. Although more hit or miss, some homeopathic combination products (i.e., containing multiple ingredients) can be effective. For example, they can quickly clear up some urinary tract infections (UTIs). To obtain the most effective remedies for disorders associated with spinal cord injury or dysfunction, you should see a professional homeopath. However, if this is not feasible, one may benefit from occasionally take several doses of Hypericum (30X or 30C). Isolated from St. John’s wort, Hypericum can potentially help nerve-related injuries, including acute and chronic spinal cord injury or conditions aggravated as a result of SCI. Other homeopathic remedies that may help for spinal cord injury include Arnica, Cocculus, Natrum sulph, Aurum metallium, Heleborus, Aconitum, and a combination remedy called Traumeel. Homeopaths believe that in the future, emergency medical technicians will administer homeopathic medicines at accident scenes to minimize injury. Although little formal research has been carried out on individuals with spinal cord dysfunction, in a recently completed study, Dr. Edward Chapman of Boston’s Spaulding Rehabilitation Hospital demonstrated that homeopathy significantly lessens the symptoms and improves the functioning of individuals with mild chronic head injury. Given these results, it is reasonable to expect that homeopathic preparations also would help for spinal cord injury. By enhancing the body’s natural defenses, homeopathy provides a real opportunity for individuals with spinal cord injury or dysfunction to reduce their heavy medication burden. Unlike some alternative treatments, homeopathy is supported by a long history of safe use, many methodologically sound clinical studies, and evolving scientific theory. 1) The Consumer’s Guide to Homeopathy: The Definitive Resource for Understanding Homeopathic Medicine and Making it Work for You, Dana Ullman, G.P., Putman’s Sons, 1995. 2) Homeopathic Educational Services, 2124 Kittredge, Berkeley, CA 94704 510/649-0294. (www.homeopathic.com). Adapted from an article appearing in the January 1999 issue of Paraplegia News (For subscriptions, contact www.pn-magazine.com).